Keep your stems fresh by trimming the ends every two to three days for optimal water absorption. If you skipped over our first two tips, this may have to be done more frequently if the stems are drying out too quickly. If the heat is turned up, the water in your vase may evaporate at a more rapid rate. Make sure to keep your winter flower bouquet hydrated and refill as necessary. Water starting to look a little murky? Revive your bouquet by replacing their food and water, because plants deserve a fresh meal too! Tip: out of flower food? Make your own with 1 teaspoon of apple cider vinegar mixed with 1 teaspoon of sugar. Looking for winter care tips for your plants instead? 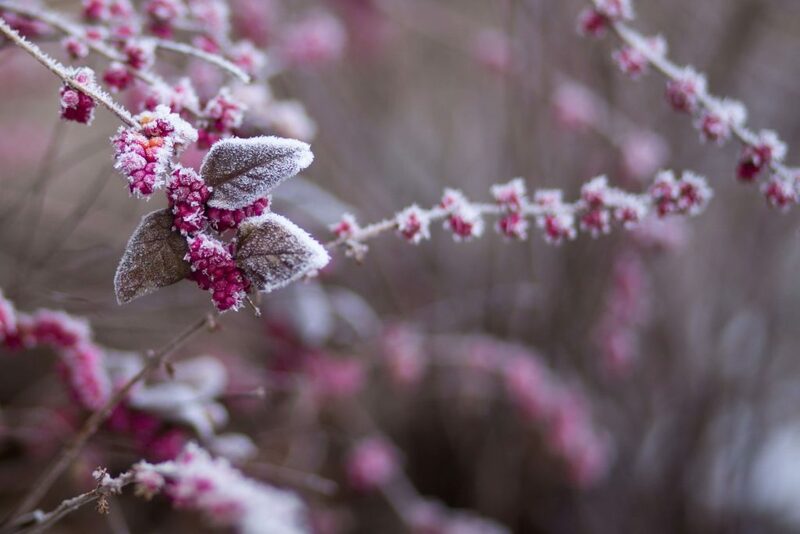 Check out our post on protecting your plants during the colder months.